The following was shared with the GNJ clergy at a special executive clergy session on January 24, 2019. The Cabinet and I recognize that we are all facing a challenging season in the life of our church and that each of you have invested your lives into being faithful United Methodists. 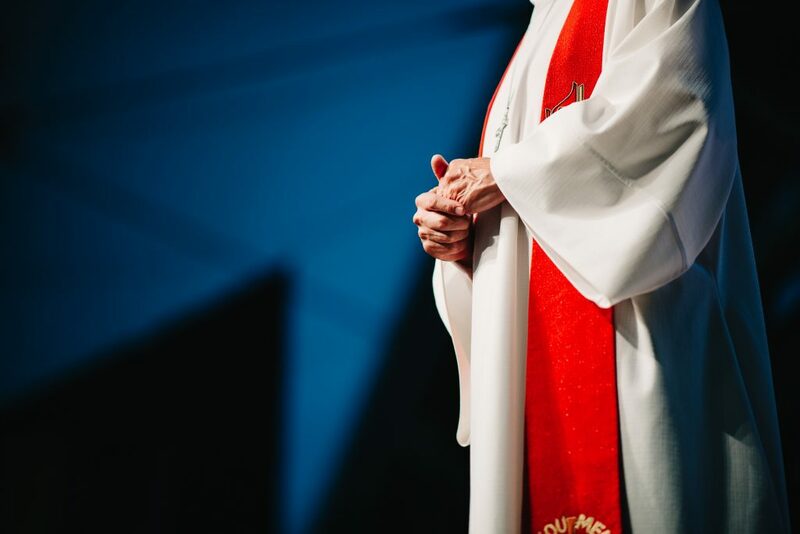 We, along with you, are praying and working toward improving our own leadership and making The United Methodist Church better to serve Christ as we seek to transform the world by making disciples of Jesus Christ and growing vital congregations. As The United Methodist General Conference delegates gather February 24-26 for a special session to seek a way forward concerning the church’s disciplinary paragraphs concerning homosexuality, no one knows what the outcome will be, but I believe we all recognize that the church will not be the same following the special session. While we do not know the outcome, we can prepare and lead in ways that glorify God regardless. Here are things we call clergy and congregational leaders to do. A. In the Wesleyan spirit, do no harm, do good and stay in love with God. B. Do not fan the flames of bitterness, divisiveness and discontent. C. Do fan the flames of mission, respect in the midst of differences and point to where Christ is alive and active through The United Methodist Church. A. Don’t let yourself be isolated. Connect with colleagues, learn from each other what you are doing to lead with integrity. B. Report to your superintendent anything that raises concerns for you within your congregation. We are here to work with you. C. Ask for help. I’ve been asking for help. Not from people who tell me what I want to hear but from people who help me see things from all sides. I invite you to do the same. B. Use this present challenge as opportunity to deepen faith. • How is the conversion about the way forward deepening faith? • How is the conversation raising questions about your faith? • What do you need during this season to be faithful and move through this time? D. Lead conversations with your congregation and if you need help ask another colleague who is good a facilitating dialogue to lead the conversation with your congregation. We understand that chaos can feel uncomfortable. We recognize that a number of you are facing the stiff winds of fear and anxiety within your congregations. Well, there are also winds of hope and wonder. We have raised in gifts and pledges more than $3.7 million toward the Miracles Everywhere campaign. We have just appointed three new outstanding superintendents, hired the first ever Executive Director of Next Generation Ministries, a new Director of Worship and a new Executive Director for A Future With Hope. In the midst of the chaos, God is doing a new thing here in GNJ and you are a part of it. We also see clergy from across the country seeking to become a part of GNJ because they see in us a future. As one person said to me recently who wants to be a part of GNJ, ‘I want to be part of a United Methodist organization that is moving ahead.’ And we are moving ahead. We started more than 80 new faith communities over the last five years and 17 last year. God is not done with us yet. Who will you be on February 27, the day after General Conference ends. Will your nature, beliefs, commitments change the day after General Conference. I know who I will be, John, a child of God, a disciple of Jesus Christ who is committed to leading the church to transform the world as we make disciples and grow vital congregations. We are here to support you through this season of change. We have no agenda but to serve Christ, you and the church. We recognize that we will not all agree, but we all can love, love like Christ. GNJ is a special place. There are few conferences in the world that have what we have – geographic, theological, racial and ethnic diversity that is unparalleled throughout the denomination. You, the clergy of GNJ have figured out how to work together in the midst of significant differences. The love of Christ has been at work through you. If the outcome of General Conference introduces significant change, we will establish a diverse team to assess what is best for the mission of GNJ and individual congregations. I anticipate we can work things out just as we have in the midst of our current diversity. I trust the people of GNJ to do the right thing and I invite you into a season of faith and trust. As Jeremiah said in the 29th chapter, verse 11: I did not bring you to this place for destruction, but for a future of hope. Hope is ours, the future is ours. God has a great future for us as we trust God, lead with integrity, lead together, and lead well. You can be the difference! In the name of the one who is our creator, redeemer and sustainer. AMEN.